Live chat provides customers with a support channel that is immediate and familiar. Combining the strengths of both email and voice, chat has become a preferred form of communication. Like email, chat provides the ability to convey information precisely in a text format, which allows both customers and agents to get the detail down and then have it preserved in the record of the conversation. Of course chat conversations can also be brief and informal if that’s all that’s needed to communicate and resolve an issue. Like voice, chat is immediate and customer effort and time to resolution is reduced. The other benefit of providing chat as a channel is that it can be placed just about anywhere the customer is. It can be embedded into your site, your software, your mobile application; directly into the customer experience. For example, a mobile app providing direct access to Support or a gamer quickly initiating a chat with an agent while playing a game. Perhaps this is why customers are so fond of chat. In a recent Zendesk benchmark survey, the Chat channel received the highest customer satisfaction (CSAT) rating, eclipsing the Voice channel for the first time. For customer service organizations, live chat is efficient and effective. Agents are able to help more customers in a shorter amount of time and handle multiple support interactions simultaneously. And of course, providing customers with their favorite method of communicating, one that results in the highest customer satisfaction rating, helps build better customer relationships. For businesses, one of the largest benefits of live chat is that it can be used as a proactive support channel—unlike email or phone support, which are traditionally limited to reactive support. 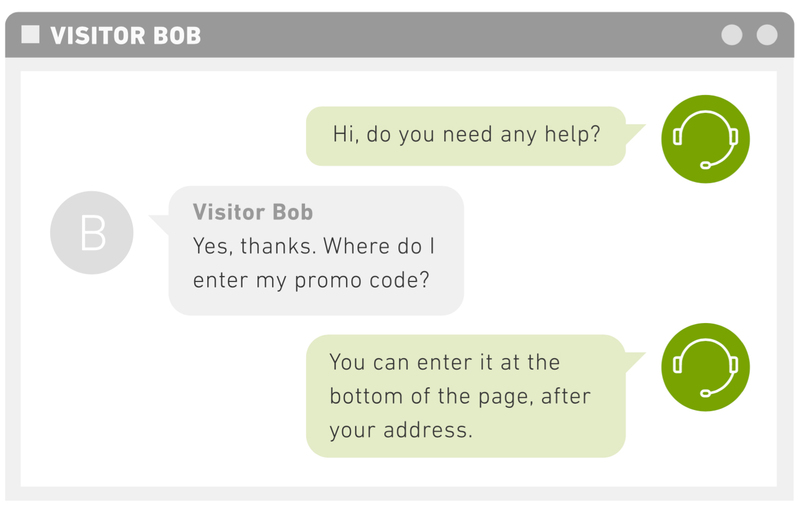 Agents can use chat to start engagements and offer relevant support to your customers before they even ask for help. Offering proactive support in this way is about becoming a resource at a critical point in the customer journey. As long as it is done in a non-intrusive way, this kind of well-timed intervention can make the difference between a customer completing a purchase or instead abandoning their shopping cart. Adding another channel usually requires changes to your staffing model, and in some cases, hiring some new agents. You need to train your team on using the new tools and how they should manage customer interactions on the new channel. Then, there’s a period of experimentation as the entire team figures out best practices, how to manage the new channel along with the other channels you support, and how to ensure quality and maintain high customer satisfaction. This is no different for chat. Your challenges with chat include figuring out how to handle multiple concurrent chats, how long chats should last before satisfaction decreases, and how to manage dropped chats, for example. Fortunately, none of this is difficult or insurmountable and we provide best practice guidance throughout this guide. If you’re also going to use your new Chat channel for proactive support, you’ll need to decide which of your customers you want to serve with proactive chat. It doesn’t have to be all of them–you might want to only use proactive chat for new visitors to your site to help them find the information they need, create an account, or start a trial. Or, you may want to limit proactive chat to the shopping experience and check out. These are some of the decisions that you’ll make as you map out your own chat and proactive support strategy. If you’re rolling out Zopim Chat, you can also refer to the 6 Steps to Deploying Chat on Your Website. When you roll out a new channel you of course need to staff it and deal with what will most likely be a temporary overall increase in your ticket volume (Zendesk saw a 50% increase in ticket volume for the first few months after implementing Chat). Chat support requests are very easy for customers to initiate and they’re curious about the new channel. Here are some guidelines that will help you staff the Chat channel. Take a phased approach to the rollout. Begin with a beta and staff the channel with senior team members who have been trained to support the new channel. Assign two agents to monitor and respond to chats. One agent is the primary and the other is backup for when the primary agent is unavailable (everyone needs to eat lunch). Two trained agents ensure that you have coverage and a consistent experience for customers on the Chat channel. Add other experienced team members as channel volume increases. They don’t have to be veterans but they should be well-trained and proven agents, with confidence and good soft skills. Even 3 to 6 months experience is enough if they’re good. New agents are not recommended since they often feel stressed by the need to respond in real-time. Schedule chat agents for a period of 2-3 hours per shift to avoid burnout. Fielding multiple conversations in real time, while efficient, can be more tiring or stressful than working a single ticket at a time. Monitor chat volume, and staff for the peak periods. Over 50% of chats occur between the peak hours of 10:00am and 3:00pm and the majority of chats occur during the week, primarily on Mondays and Tuesdays. This data comes from the Zendesk benchmark survey, which you may want to take a look at as well. As you can tell from these guidelines, rolling out chat is best handled by more senior agents. We recommend this approach to roll out chat and then bring on other agents after rollout is complete after they’ve been properly trained on the new channel. Relying on senior staff to launch the Chat channel is also beneficial because these agents are usually also called upon to provide training to new agents. As the subject matter experts, they can impart their knowledge of the Chat channel to the rest of the team. Here are a few other ways to train your team to support the Chat channel. Assign a Chat channel lead. For distributed support organizations, select a senior team member to be the Chat channel lead for each location. It is then their job to train the rest of the team as needed. The focus of the training is not just about using the chat tool; it’s about how it fits into the support workflow, how to handle specific situations liked dropped chats, how to switch to a different channel if necessary, and best practices for interacting with customers when using chat. Document your training. For scalability, document training in a slide deck or internal KB article, for example, or capture a training session on video. This self-service approach to training doesn’t necessarily mean that new agents will not also need some one-on-one time with already trained agents, but it can go a long way to making the rollout easier and faster. Schedule new agents in 3 hour shifts. An approach that works well is to have trainee agents (meaning new to this channel) work the Chat channel in 3 hour shifts with the help of an already trained agent. Ideally, have one experienced agent oversee 2-3 trainees, all in the same room. If this isn’t practical, a virtual chat room can be used. Use a collaboration tool to support new agents. Using a collaboration tool such as Zopim’s inter-agent chat, or a tools like Slack or Flowdock, is also a good way to provide trainee agents with assistance as they are handling their first interactions on the Chat channel. Already trained agents can monitor the ongoing conversations in the collaboration tool and jump in to provide answers and advice when needed. You can find best practices for supporting customers on live chat in Essential customer service skills: how to interact with customers on live chat. Monitoring the quality of your team’s responses on the Chat channel isn’t all that different than the quality assurance measurements you have for your other channels. What is specific to the Chat channel is how agent performance tracks to the best practices mentioned in the previous section. But let’s start with some general quality assurance best practices that apply to all channels. Monitor customer satisfaction ratings for each agent. Compare their customer satisfaction rating averages, as well as any comments left by customers, for each channel separately. This can tell you if for example, an agent scores a high CSAT rating on voice tickets and a lower rating for chat tickets. You can spot trends and identify areas where the agent needs more training. 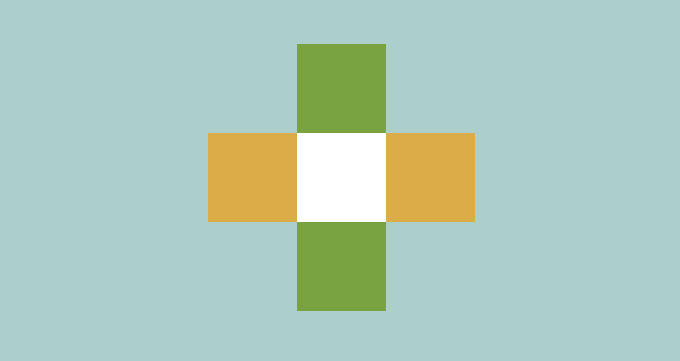 Do a monthly QA check of each agent’s solved tickets. You certainly can’t evaluate every ticket, but a random review of 5 tickets per month can do the trick. You’ll want to evaluate each ticket for comprehension, accuracy, judgement, tone, and process adherence. To improve consistency, create a simple rubric that sets standards for how each category should be rated. The number of chats an agent can handle per hour or per shift. This can give you an idea of not only the agent’s productivity but also if they’re taking on too many chats simultaneously. If an agent’s chat CSAT ratings are lower than they should be, this might be the reason. The average time it takes for chats to receive a response. This metric is called average wait time. As we said in the previous section, CSAT drops after 30 seconds of waiting for an agent to pick up the chat. This applies as well to the time it takes between responses. The average length of an agent’s chat sessions. This metric is called average chat duration. Research shows that shorter chat sessions result in higher CSAT ratings, but the length of a chat session does not necessarily indicate that it has been bad experience for the customer. Long chat sessions may indicate instead that the support issue might have been handled better using a different channel such as Voice. Number of dropped chats. These are the chats that are not picked up by agents quickly and are abandoned by the customers. This most likely indicates that you’re understaffed on this channel. Monitoring these metrics enables you to gain insights into how effectively your team is supporting the Chat channel and how that is impacting your customer relationships. So far, we’ve covered the business value of live chat and proactive support and how to roll out and manage the Chat channel generally: meaning, once you’ve connected with customers, reactively or proactively, how to make those interactions successful. Now it’s time to talk about being proactive, reaching out to customers to offer them assistance before they ask for it. Successful customer service is about making it easier for the customer to use your product by anticipating their needs. This is exactly what proactive chat can do. Take this common scenario: a customer is lingering on the same page on your site for 10 or more minutes without making a purchase. They are clearly shopping—they’ve clicked on different products and have even put a few in their cart. It’s safe to assume that the customer is interested in the product but hesitant to make the next move. We can make assumptions about the reasons behind their hesitation based on user data, but there reasons are ultimately unknown. So how can you turn this browsing customer into one who’s ready to engage with you, become a customer and make a purchase? The beauty of proactive chat is that it empowers your support team to take the initiative. Agents can jump in during any point of the purchasing process to say, “Hi, I’m here for you if you need me.” And it can really be as simple as that. Customers can close the window, or they can respond. According to Forrester Research, Inc.’s October 2014 report, “The Six Key Elements of Proactive Chat,” 55 percent of U.S. adults are likely to abandon their online purchases if they cannot find a quick answer to their questions. This is exactly where the business opportunity exists. Proactive customer service drives more conversions because you’re able to provide a helping hand when and where needed. In fact, customers who chat during the purchasing experience convert 3.5 times more than those who don’t and their average order sizes are 10-20% higher. In Forrester’s report, Lenovo was cited as an example of a company that saw its online sales jump from less than one percent to up to 30 percent after implementing chat. Lenovo also saw its revenue per agent increase fourfold. There’s no doubt that live assistance can help companies increase conversion rates. Chat can also reduce costs through the power of ticket deflection. By bringing conversations from the call center to the chat widget, companies can help many customers at a time, reducing resolution and wait times, as well as costs. Beyond the bottom line, the investment in chat and proactive support helps to build better customer relationships because it’s a more satisfying experience for them. When should agents initiate a chat with a customer? When should you use manual versus automated chat? Which parts of your website should you monitor and enable chat on? Which customers to target? All of them or just some of them? Let’s take a look at each of these questions. There’s no hard and fast best practice to answer the “when to initiate?” question. It really depends on how your customers are using your site. The best approach is to take advantage of the website activity data available to you and determine the average time customers remain on your site or a specific page within your site before they exit. Taking the shopping cart checkout page as an example, if the average time a visitor stays on that page is 50 seconds, agents should initiate a chat at 40 or 45 seconds. Good proactive chat tools can automatically trigger chats based on that criteria. You may want to do some A/B testing to help you determine the best approach. If you don’t have many visitors to your site and you’re able to manually browse your site’s visitor list, you might want to initiate manual chats based on the customer’s behavior and path through your site. Automating chat sessions based on specific conditions, as noted above, allows you to manage predictable situations where a chat is needed, as in the case of the average exit time. You’ll probably want to do both. Manual will give you the option to react to situations that fall outside your defined automated chat session rules. The where question is similar to the when question—it depends. Identify the pages that lead to conversion and target those. A visitor’s navigation history on your site is also a good indicator of their intentions and a good way to spot those you’ll want to target. An excellent way of helping to sort this out is to do a customer journey mapping exercise so that you have a better awareness of the paths your visitors and customers take through your site. Offering chat support to every visitor that comes to your website might be too much, especially when you’re getting started. It depends on your site traffic and the size of your support staff. To keep chat manageable as you’re rolling it out and testing the waters, you might want to limit it to specific groups of visitors. This can be defined as those groups of visitors that enter specific parts of your site such as the trial sign up, registration, and shopping cart, or already paying customers versus potential customers. You’ll have define your strategy and find the right balance based on your own situation and business goals. 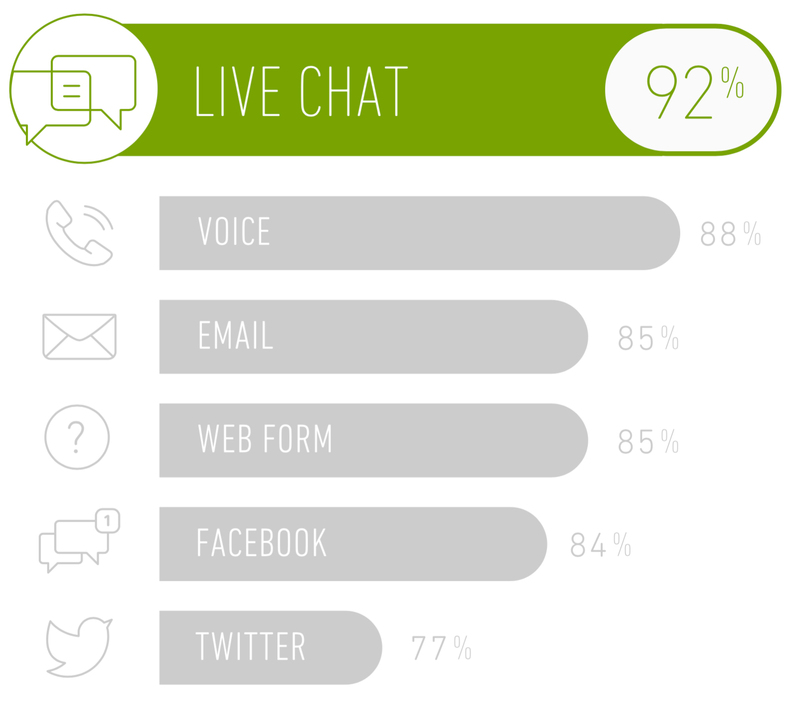 Will your visitors and customers find the proactive chat experience annoying? Fortunately, research shows that consumers are increasingly open to proactive chat. Forrester Research, Inc. reported that 45 percent of U.S. online consumers say that they like having a chat invitation appear to help answer questions when they’re doing online research or making a purchase—up from 33 percent in 2012 and 27 percent in 2009. The annoyance factor may just come down to what the chat agent’s intent is: to push the customer to make a purchase or just to be available to provide the help that the customer needs. When help is delivered on a silver platter, it’s hard to turn down. So it’s no coincidence that increased engagement between agents and customers leads to lower cart abandonment rates and more purchasing. The same Forrester study also reported that one third of online consumers who did not complete their purchases in the last 12 months said it was because they wanted to engage with a live person first. While not an overwhelming percentage, analysts concluded that proactive chat would, in these situations, result in incremental revenue uplift. Because proactive chat will significantly increase the number of chats you receive, and agents must be available to respond to them quickly or risk leaving customers unsatisfied, you may want to start with reactive chat first to ensure that your team is trained and comfortable with the new channel and that you’re all ready for the increased volume. Your first and most important measure of success is most likely conversion. How many new customers did you gain and how many purchases were made after implementing proactive support, compared to how you were doing before that? Was the return worth the investment? Equally important is the effect it’s had on your customer relationships. Are they having a better experience? You can measure these by tracking the overall CSAT rating for the Chat channel and the average wait time and average chat duration metrics (as we discussed earlier in this guide in Monitoring quality and ensuring customer satisfaction). The average wait time metric is important because it indicates how long, on average, your customers are waiting to be served. The lower the response time, the more likely your customers will be satisfied with their experience. The average chat duration metric provides insight into how long your agents take to manage customer issues using the Chat channel and you now know that longer chats equals less satisfied customers. Learn why omnichannel support is worth the investment.